Looking for a Used Enclave in your area? CarGurus has 21,661 nationwide Enclave listings starting at $4,499. 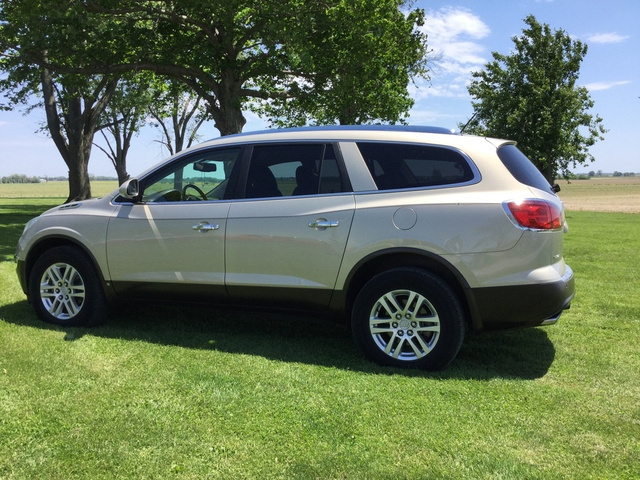 The Buick Enclave receives a much-needed increase in power for 2009, in the form of a new V6 engine, and continues to offer a smooth, sedan-like ride, a noticeably quiet cabin, and expansive cargo space, making it an ideal family vehicle. The Enclave's pricetag can be steep for some, although it's more affordable than competitive vehicles, and some would like to see better fuel economy, perhaps with a hybrid or flex-fuel engine, neither of which are currently available in the Enclave. Thanks to its many attributes, including a number of upscale amenities, the 2009 Buick Enclave offers a good value for drivers seeking a luxury crossover vehicle. Although some drivers have noted isolated build quality problems, the Enclave's smooth ride, quiet interior, numerous safety features, and expansive cargo space make it a good choice for families seeking a well-appointed crossover vehicle from a domestic automaker. Buick's upscale Enclave crossover vehicle receives a bump in power for 2009, as well as a few new features, including standard Bluetooth and optional heated and cooled seats. Buick also adds a rear-view camera to the optional Driver Confidence package. Now in its third year, the four-door Enclave sports aerodynamic exterior sedan-like lines and a well-equipped interior designed to appeal to younger drivers, and offers a domestic alternative to competitive crossover vehicles from foreign automakers such as Lexus, BMW, and Audi. Distinctive exterior elements include the black chrome waterfall grille, signature portholes along the sides of the hood, and three-dimensional multi-lens taillights. Inside, the Enclave offers a good mix of comfortable seating, technological advances, and interior space. 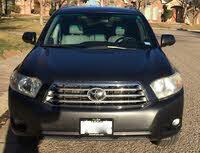 It excels in a number of areas, including its smooth ride, interior quietness, and cargo capacity. Buick offers the Enclave in entry-level CX and premium CXL trims for 2009. Both trims are available in front-wheel-drive or all-wheel-drive configuration. The luxury crossover vehicle can seat up to seven passengers in three rows, including front bucket seats, second-row captain's chairs, and a third-row bench seat that can accommodate three adults. With an optional second-row bench seat, the Enclave will seat eight passengers. Cargo space expands from just over 23 cubic feet with all three rows of seating in place to 115 cubic feet with the second- and third-row seats folded down. The Enclave's new 3.6-liter, direct-injection V6 engine with variable valve timing pumps out 288 hp, an increase of 13 hp over the previous year's V6. The new engine also delivers 270 lb-ft of torque, which moves the heavy Enclave along at a better pace than the engine it replaces. With an optional Trailering Provision Package, the Enclave can tow up to 4,500 pounds. The engine links to a six-speed automatic transmission designed to deliver smooth, efficient shifting. The transmission comes equipped with automatic grade shift logic, which senses when you're driving downhill and automatically shifts into a lower gear. This feature proves especially helpful, Buick notes, when you're towing a heavy load. Fuel economy remains a sore spot with the Enclave, though it doesn't fare quite as badly as some of its competitors. The EPA rates mileage for the Enclave at 17/24 mpg for trims with front-wheel drive. That drops to 16/22 for trims with all-wheel drive. The Enclave runs on regular gas. Although the Enclave shares its platform with both the Saturn Outlook and the GMC Acadia, Buick considers it to be the premium vehicle among the three. That's reflected in its four-wheel independent suspension, which Buick refers to as Premium Ride. The sedan-like suspension delivers a smooth, gliding ride that has received high marks from drivers and reviewers. The Enclave handles well in tight curves, with responsive steering and a minimum of body roll. Seating comfort and cargo space remain two of the Enclave's best features. Drivers and second-row passengers in particular can travel long distances in relative comfort. The comfort quotient in the third-row seat drops a notch, though taller passengers will find adequate legroom in the rear seat. The Enclave's configurable cabin, with second- and third-row seats that easily fold away thanks to the Smart Slide feature, can accommodate just about any type of cargo. A cargo storage area under the rear floor, as well as numerous cubbies, provides additional storage space. All trims include a power liftgate as standard equipment, which makes it easy to access the rear cargo area. CX trims ride on 18-inch aluminum wheels, while CXL trims bump that up to 19-inch chrome-plated aluminum wheels. Drivers should note that the CX trims come with a tire inflation kit in place of a compact spare, which comes standard on the CXL. The Enclave's cabin has an upscale feel, thanks in part to its art deco design, evident especially in the center dash with its quartz analog clock. Standard features include tri-zone climate control, which keeps passengers in all three rows comfortable, and a leather-wrapped, mahogany-accented multifunction steering wheel. Buick's Quiet Process system blocks and absorbs exterior noise to ensure a quiet cabin. CX trims come standard with deluxe cloth upholstery seats, while CXL trims pamper occupants with leather seats that are heated in front. Buick offers heated and cooled seats in the CXL as a new option for 2009. The front seats in all Enclave trims are power-adjustable, with varying levels of adjustment depending on the trim. All Enclave trims come standard with an AM/FM stereo system with an MP3 player input jack and XM satellite radio. Drivers can opt for a number of audio and entertainment system upgrades, including an advanced Bose 10-speaker system and a surround-sound CD/DVD entertainment and navigation system with a backup camera. Other options include a power tilt/sliding sunroof and rear parking assist with a rear-view LED display. The Enclave received the highest possible score of five out of five in the National Highway Traffic Safety Administration's front and side crash tests. Buick has equipped the Enclave with what it calls a 360-degree safety system. Among the Enclave's many safety features are six standard airbags, including dual-stage front airbags, side-impact airbags for the driver and passengers, and head-curtain side-impact airbags that help protect passengers in the second- and third-row seats. The Enclave comes standard with StabiliTrak, which reduces the chance of a rollover and helps drivers maintain control of the vehicle in slippery or wet driving conditions by applying brakes and controlling the engine throttle as needed. Four-wheel antilock brakes, daytime running lights, and a tire pressure monitor are among the Enclave's other standard safety features. Owners like the Enclave's smooth ride, quiet cabin, and ability to seat up to eight passengers. Many call it an ideal family car, thanks in part to its safety features. The Enclave's exterior styling also gets high marks from owners. In addition, drivers like the standard Bluetooth and optional navigation system. On the downside, many drivers find fault with the Enclave's fuel economy, and some recommend the front-wheel-drive trims over the all-wheel-drive trims for that reason. Some report build quality problems with the Enclave. Others suggest a V8 or flex-fuel engine, neither of which are currently available with the Enclave. CarGurus drivers echo many of those sentiments. One owner finds the Enclave expensive but worth the price, and especially likes the Enclave's quietness. Another raves about the Enclave's smooth ride. 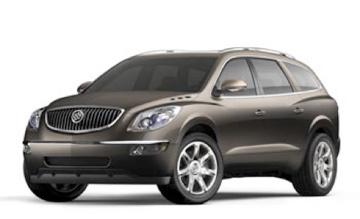 What's your take on the 2009 Buick Enclave? Users ranked 2009 Buick Enclave against other cars which they drove/owned. Each ranking was based on 9 categories. Here is the summary of top rankings. 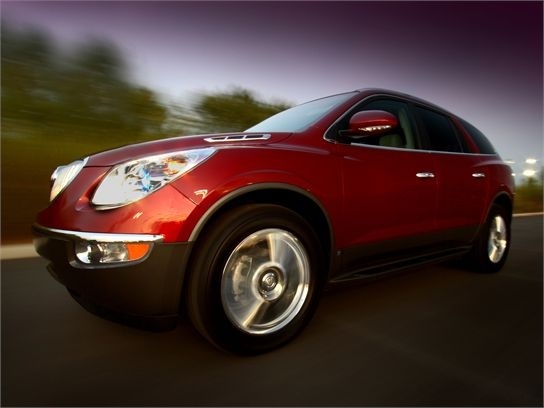 Have you driven a 2009 Buick Enclave? Changed Plugs & Coil pack. Car was running before that but low power. Now its starts with a jump but shut off immediately. Any Answers?